Sounds a little strange, doesn't it? Not the 745i part, which was re-introduced in 2002, but it written beside E23 model designation. This unicorn model, first-generation 7 Series was designed as a super luxury bahn-stormer from 1979, and with 252 ponies in the stall, it didn't disappoint. These cars were loaded with options from new, ranging from remotely controlled auxiliary heating, rear-armrest radio controls and water buffalo hides. An intention of producing the worlds best luxury car was most certainly in BMW's sights. The first 745i 23's used a specially developed M102 3.0litre engine, which was a strengthened M30B30, with a K27 turbocharger bolted to the side. In 1982 the engine grew from 3.0 to 3.4litres, which required less boost pressure to produce the same horse-power. The same turbocharger gave the increase from 188 to 252bhp on both engine sizes, but the size of it next to the steering linkage fixed the car in left-hand-drive, removing it from the UK market. Damn and Blast. 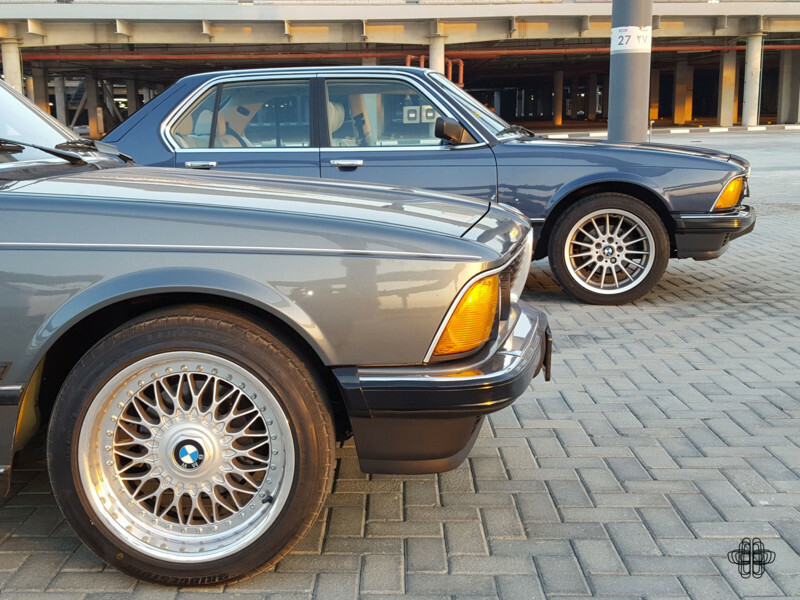 The UK market however, didn't miss the 745i and were amply satisfied with the 732i and 735i models to give adequate performance. Compared to similar vehicles from Jaguar and Mercedes, the 7 gave great economy, too. South Africa, you ask? Nope. Not even close. South African driver's, like in the UK, use right hand drive cars which the turbocharger setup didn't permit. BMW's first official subsidiary, needed a solution quickly. Enter the M88/3; The legendary 24 valve engine from the M1, rated at 290 horse power. There were just 209 of these goliath's built, and just 17/209 were specified with a 5-speed manual gearbox, making it one of the most limited production models in the company's history. 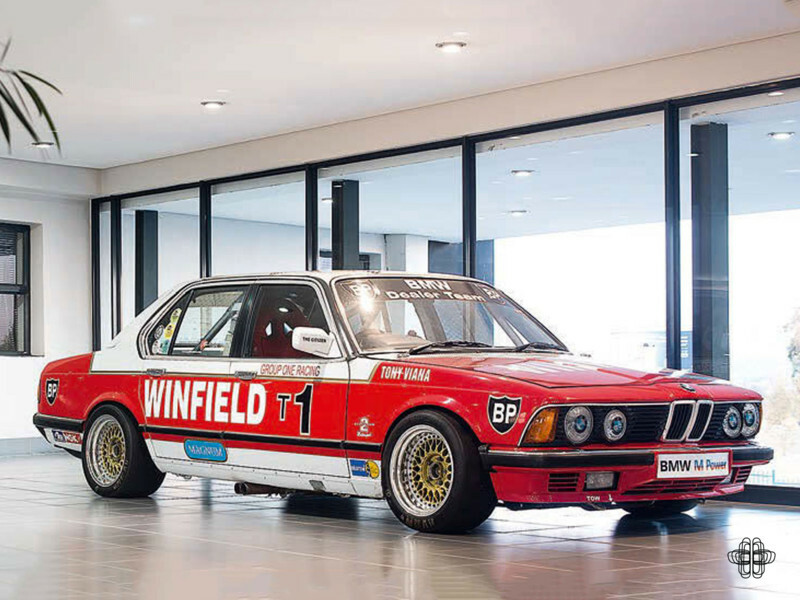 Never officially badged, but known as the “M745i” gave the 7 Series it's only official BMW motorsport outing, in Class A of South African Modified Saloon Championship. Tony Viana won the class against Sierra XR8's and the nimble Alfa Romeo's of the time, but not without some incredibly hard work wrestling the comparably enormous chassis. The Winfield Racer pictured, is the actual car that won the championship and is still regularly used at period events and track meetings. 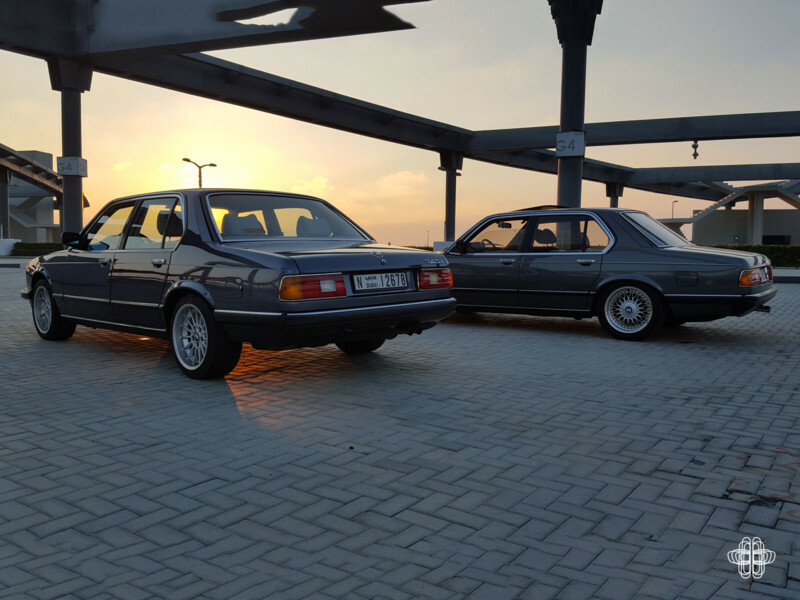 The Blue & Grey pictured cars, are owned by Mohamed Baalbaki, and his friend in Dubai. The cars are european Turbocharged examples, which were imported to Japan when new, and then to UAE in the last 5 years. They have both had extensive maintenance and mechanical overhauls and have had awesome, newer BMW wheels fitted. Keep up the work guys! Author: Tommy Machin – Serial Enthusiast.